He was born in a country where the colour of skin determined people's individuals would be equal. He was born in a country where the colour of their skin determined people’s fate and throughout his life, he fought for a principle where all individuals would be equal. 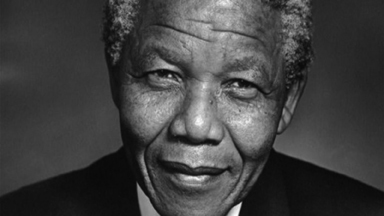 Former President of South Africa, Nelson Mandela passed away at 95. Jacob Zuma, President of South Africa, said that Mandela lost his life at his home “in peace” in an announcement from the state television. 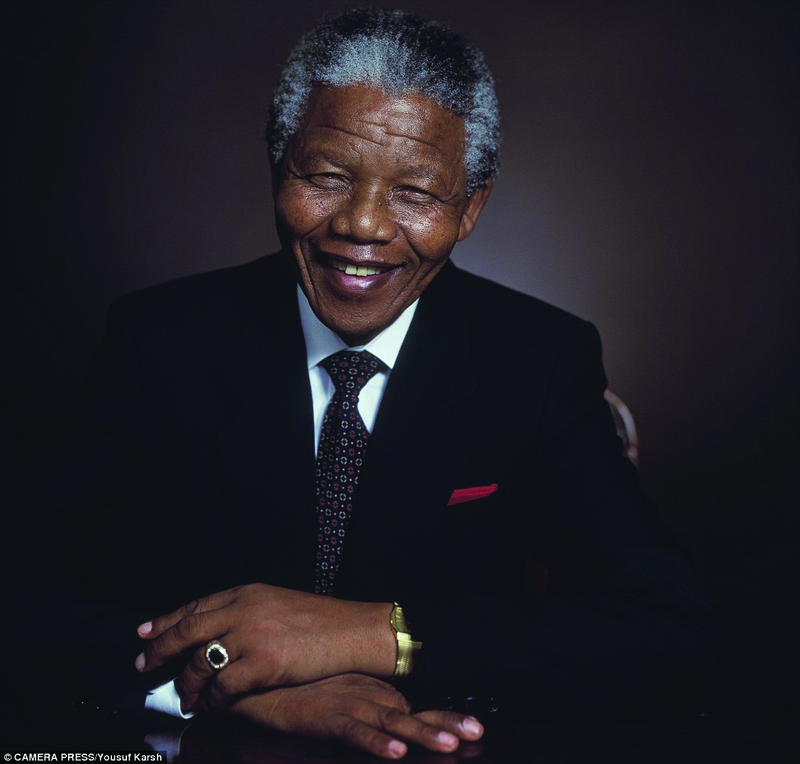 Mandela was hospitalized on June 8 due to pulmonary infection and discharged on September 1. Nelson Mandela’s life was one of the most impressive and unusual stories of our age and witness of our era. Mandela was one of the most respected statesmen of the world and he led the fight for destroying the apartheid regime in South Africa to bring democracy instead where all races are equally represented. He became the first elected black president of South Africa after 27 years in prison and was the pioneer in bringing peace to other conflict regions of the world. He was granted the Nobel Peace Prize in 1993. Mandela’s leadership, which is adored throughout the world, is undoubtedly explained by his attractive personality, sense of humour based on his modesty and not holding any rage and resentment despite the violence he was subjected to. Mandela retired from presidency in 1999 and then served as the highest level ambassador of South Africa, participated in campaigns against HIV/AIDS and made special efforts for his country to be declared as the host of the 2010 World Football Cup. Despite being diagnosed with prostate cancer in 1999, he did not stop working and got involved in peace negotiations in Democratic Republic of the Congo, Burundi and other African countries. In 2004, when he was 85, Mandela announced his retirement from active public service to spend more time with his family and friends. Nelson Mandela was born in a small village in East Cape state of South Africa in 1918. His grandfather was the king of the Thembu tribe while his father was the chief. He was known in South Africa with his nickname “Madiba” as he was called in the tribe. His birth name was “Rolihlahla Dalibhunga” but his teacher gave him an English name “Nelson”. As his mother was a Methodist Christian, he attended Methodist boarding schools and studied law in the only university in South Africa where blacks could study. When he was 25, he joined in the African National Congress (ANC) advocating the rights of native people against whites and in 1943 became an activist. Then he founded the ANC Youth League and became its president. In 1944 he got married to Evelyn Mase, his first wife. They got three children but got divorced in 1957. After completing his studies, he opened his first law office in Johannesburg in 1952 with his partner Oliver Tambo. In the 1950s, apartheid had taken effect in the country. Nelson Mandela started to take active roles in the African National Congress. He supported a more militant organization, got arrested several times and was banned from political activities. He established ties with white communists in South Africa, with whom he shared the dream of a South Africa where whites and blacks lived together. Mandela and Tambo maintained a campaign against the apartheid regime started by the National Party of whites that oppressed the black majority. 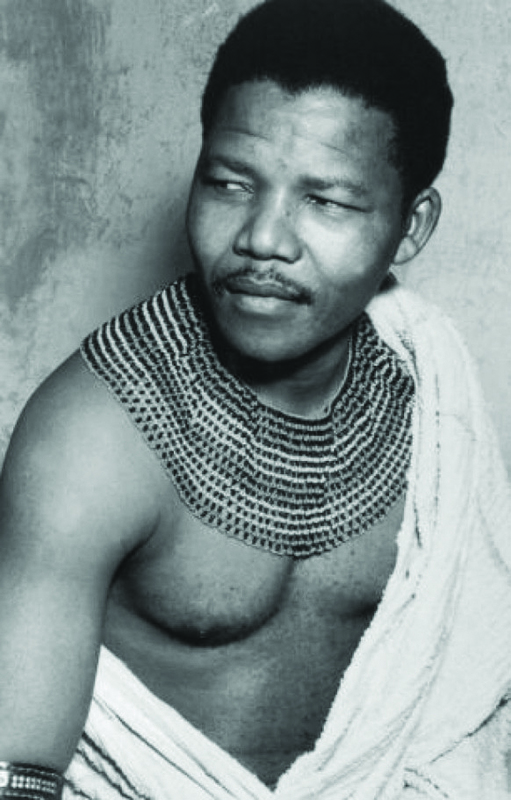 In 1956, Mandela was prosecuted in a trial for treason alongside 155 activists. He got acquitted from the charges against him after the four year trial. Resistance against apartheid was growing each day; particularly reactions against laws restricting where black people could live and work increased. Mandela got married to Winnie Madikizela in 1958 but he had to hide with the other members of the party, as ANC was outlawed in 1960. Apartheid became more effective; the Sharpeville massacre in 1960 where 69 black people were murdered by the police was a turning point. Nelson Mandela was sentenced to death in the winter of 1964 when he was 46. He lived for 18 years in the Robben Island on the shores of Cape Town, until he was transported to the Pollsmoor Prison in 1982. When Mandela and other ANC leaders were in prison or exile, the resistance in South Africa did not stop. Hundreds of people were killed and thousands of people were injured. However, Mandela came to the forefront as the symbol of resistance despite being in prison. The Robben Island where he was imprisoned became almost a training centre. 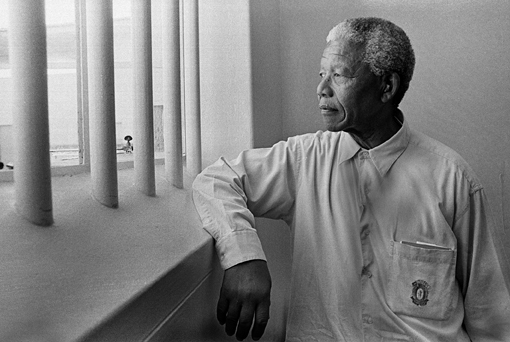 Mandela headed the political training classes set by prisoners. In 1980, Tambo, his former partner in exile, started an international campaign for the freedom of Mandela. International community started sanctions against the apartheid regime in South Africa for the first time in 1967. 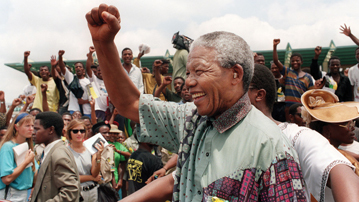 Pressure yielded results in 1990 and the South African Government comprehended the fact that Nelson Mandela was the only black leader with whom they could cooperate. Frederik Willem de Klerk, then president of South Africa, abolished the ban on ANC and Mandela was freed. Talks started to establish a democracy representing all races in South Africa. Mandela and ANC leaders declared that they suspended armed struggle. 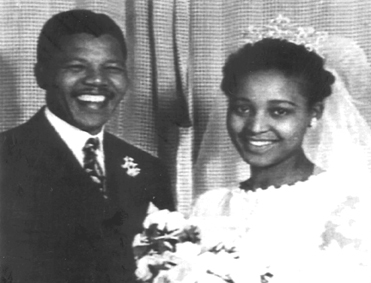 Meanwhile, Mandela got divorced from his second wife Winnie who was charged with kidnapping and assault. In December 1993, Mandela and de Klerk were awarded with the Nobel Peace Prize. Five months after that, democratic elections were held including candidates from all races for the first time in South Africa where Mandela had a landslide victory for Presidency. What makes Nelson Mandela special and what made many people grant him a particular position was that he did not use resentful and bittersweet words against the former apartheid regime. 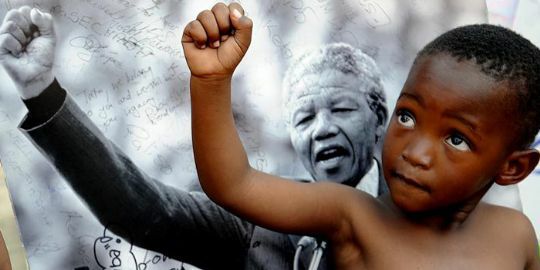 In an interview with BBC, Mandela explained his forgiving attitude with these words: “If we don’t forgive them then that feeling of bitterness and revenge will be there…and we are saying ‘let us forget the past and let us concern ourselves with the present and the future. But to also say that the atrocities of the past will never be allowed to happen again”. Mandela is a lesson about courage. He is an example of both physical and moral courage. Many times in his life he was scared, but he never showed it. He grasped the fact that he needed to show courage as a leader and always overcame his fears; this was one of the more important wisdoms that he had to teach us. 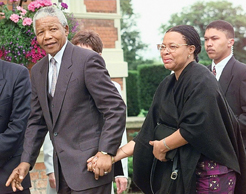 Mandela got married to his third wife, Graca Machel when he was 80. 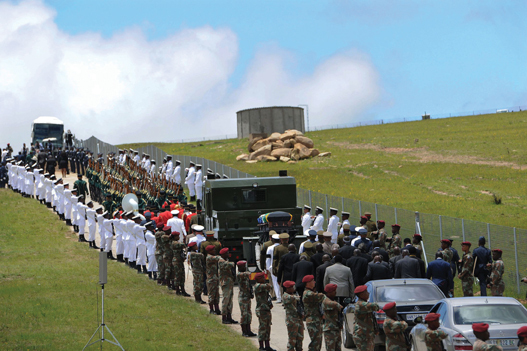 He assigned government responsibilities to his assistant Thabo Mbeki while he took rather symbolic roles. He focused on the construction of South Africa’s new image in the international arena. In this respect, he persuaded multinational companies to continue their investments in the country. On his 89th birthday, he established “the Committee of Wise Men” to consult on the solution of the most difficult problems in the world. His most remarkable campaign in recent years was after the death of his son Makgatho in 1995. Mandela announced that his son died of AIDS in a country where the taboos on AIDS were still strong and called South Africans “to acknowledge that AIDS was a normal disease and to talk about this disease”. Nelson Mandela finally met his people at the closing ceremony of the World Cup 2010.